Being independent is great, but you’re on your own to figure out how to grow and manage your business. 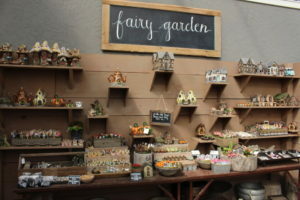 The Garden Center Group (The Group) is an alliance of garden centers, consultants, service providers and vendors who work together creating a community of professionals with one goal in mind ... helping each other build successful companies. 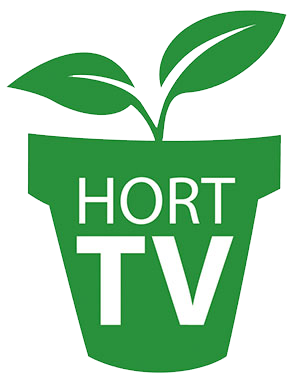 The Group is your resource for solutions for garden retailing — benchmarking, budgeting, inventory and margins; marketing, merchandising, brand building, property and site design; human resources; team building and succession; and more. We offer direction, support and step-by-step assistance in some of the most important aspects of operating a successful garden center today to reduce the time and trials of doing it alone. is full of a culmination of hundreds of years of experience, boundless energy, brilliant ideas and an openness to share. Unlike a buying group that boosts your purchasing power on products that you sell, we focus on business solutions designed to help you increase sales, improve operations and retain more profit. The Group’s Exclusive Annual Profit and Loss Study, now in its 15th year of extensive financial benchmarking, is unmatched in helping garden centers make solid financial decisions. By consolidating garden centers that agree to work together toward a common goal, The Group is able to provide a network of professionals and business services most centers would not be able to afford on their own. So why go it alone? Tap into the power of The Garden Center Group today. 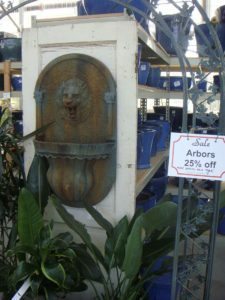 For more details, visit www.thegardencentergroup.com. Not so long ago you heard directly from your customer or word-of-mouth. Today, it is much more complex. A customer can say something (either positive or negative) about you and your business in an ever-increasing number of ways, and you may never know. And, what they say can have a big effect on your business. Internet-based consumer comments through reviews are growing in both use and importance. In this article, we will explore how social reviews are becoming increasingly important (and more complex to manage) as you work to connect with new customers. And, we’ll cover some ideas on how to make your life simpler as you continue to add more to your marketing toolbox. Have you recently traveled to a different area, searched for a hotel or explored a new restaurant, or even a new doctor? If you did, the odds are you read what other customers said about this business or professional. Have you ordered any products online recently? While deciding which product is best, reading customer review rankings most likely guided you to make a decision of which product to pick.Another way to look at this is how we value word-of-mouth advertising by happy customers. It is worth so much more than typical forms of advertising, and it is advertising you cannot buy.Social reviews are “word-of-mouth” advertising … on steroids! Of course, there is more anonymity in this process as, in most cases, you don’t actually know the reviewer and don’t get to hear them say these words, but most are people who are sincere in sharing their experiences. How Important Are Online or Social Reviews? INC magazine says research shows that 91 percent of people regularly or occasionally read online reviews, and 84 percent trust online reviews as much as a personal recommendation. And, they make that decision quickly: 68 percent form an opinion after reading between one and six online reviews. At the same time, the old saying, “Bad news travels at the speed of light; good news travels like molasses,” is very true. Much of the time, an unhappy customer will tell their “unpleasant” experience to many more people than a happy customer shares their good experience. Years ago, the original Sears Roebuck & Co. trained their management on the concept that “it is easier to keep a current customer happy than to find new ones.” If you hear from an unhappy customer, you have an opportunity to resolve issues. I will share more on this a little later. Let’s think a minute of the number of ways a customer can share their experience or their impression of your business today. There are several heavyweights in this list: Google and Facebook are certainly at the top and must be considered among the most important. At the same time, there are conflicting reports of how advertising dollars are influencing ratings. I can see where it could affect search engine results but I don’t see how it can influence customer reviews directly. Consider how easy it is for a customer to simply open their Facebook account and post something — good or bad — about your business. And, consider how many more people could see this comment or review … all within minutes. But there are many more ways for consumers to share their experience than on Facebook. Google, Yelp, Yahoo!, Instagram and many newer web-sharing systems are available today all at just a few clicks away. How Do You Watch for Every New Review? Most of the time it requires an authorized staff member to log into each platform to monitor any comments and respond accordingly. With the many platforms or systems, this responsibility could easily require an hour or more every day. That equates to nine weeks of staff time in a year (one hour a day times 7 days a week times 52 weeks)! There has to be a better way to respond to customers (and protect your business reputation) while promoting that desired image to potential new customers. There are new services emerging to help businesses watch for comments and reviews and respond quickly. The basic idea is to set up a “tool” or service to watch the various platforms, be authorized or connected to your business accounts such as Facebook, Google, etc., and authorized to respond, all without having to log in to the individual systems. it could be important to also share it to Google and others. Some new tools now allow you to do just that. So, as you consider any new Retailers today should be looking for resource for this effort, watch for ways to share the good news easily. All of what we have considered here so far is focused on reviews or comments that are already posted somewhere. By the time you see them, the comments are out for others to see them also. The only thing you can do is respond appropriately. If it is a positive review, thank the customer and invite them back to experience more … or if negative, respond in a way to help resolve the issue or at least commit to better service next time the customer comes in, and invite them back for a better experience. In many cases, other potential consumers reading the review will see you care about your customer and desire to provide a quality experience. But, what if you could solicit a review following the transaction before it gets to any public or internet-based system for the world to see? Retailers today should be looking for ways to send an email or text soon after the customer leaves the store asking the important question, “How did we do?” This would be in a system you control. If it is positive, you could share it across your public audience (Facebook, Google, Yelp!, Yahoo, etc.). And if negative, you have the opportunity to help satisfy the customer well before it becomes public. The owner and manager(s) determine who they want to designate as their chief of customer satisfaction, and that person would be responsible for responding to reviews through an app on their smartphones. Others, such as department managers and staff, could also see all reviews and be aware of them. This should be part of the staff’s continual customer service improvement efforts. Such reviews and responses could be quick with the almost immediate notification capabilities some systems offer today. And it would eliminate the laborious task of logging into each system individually to respond. This would also give you the ability to solicit reviews and comments from customers shortly after your contact, respond accordingly, share the good news and remedy any needed areas of improved customer experience. If you feel it’s time for your business to streamline your “reputation management” there are a number of options available. Doing a quick online search for “review management” or “reputation management” is a good place to start. You will quickly see you have a large number of systems to consider. From what I have seen, pricing for a single location varies from a few hundred dollars a year to several hundred dollars a month. The Garden Center Group offers ReplyPro, an easy and affordable way to manage customer reviews in one place. Many of our clients use review management systems to save time and make a better impression on their customers. I would be happy to discuss these programs or offer advice on any systems you may be considering. But it’s important to realize that reputation management is only scratching the surface of a much more complex challenge of managing and maximizing your social presence. One of our service providers, Steve Kendall, The Design Works, is an expert on integrated digital marketing and offers a suite of services focusing on the five essential pillars of being found online — Search, Social, Local, Review and Advertising. Although review is very important, there are many other facets to a successful marketing program. Until next time … I hope you have the very best spring season! Thank you for spending this time with me to explore programs that can make your job easier and have a positive impact on your business. I look forward to your questions and comments. PDF: What Are Your Customers Saying About You? Danny Summers is managing director of The Garden Center Group. He can be reached at [email protected] or 678.909.7770.